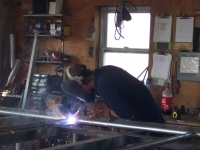 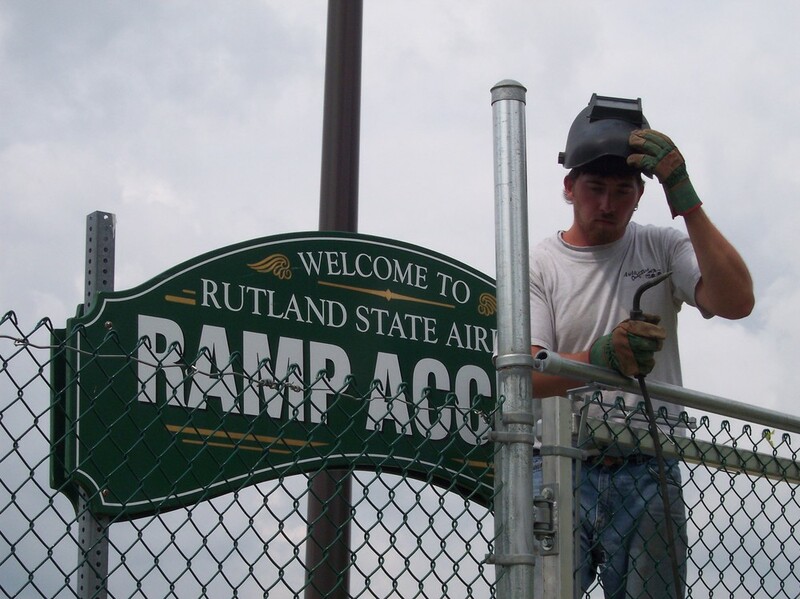 The team at Round Hill Fence can provide custom fabrication. 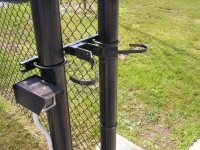 We create custom solutions to your fencing needs. 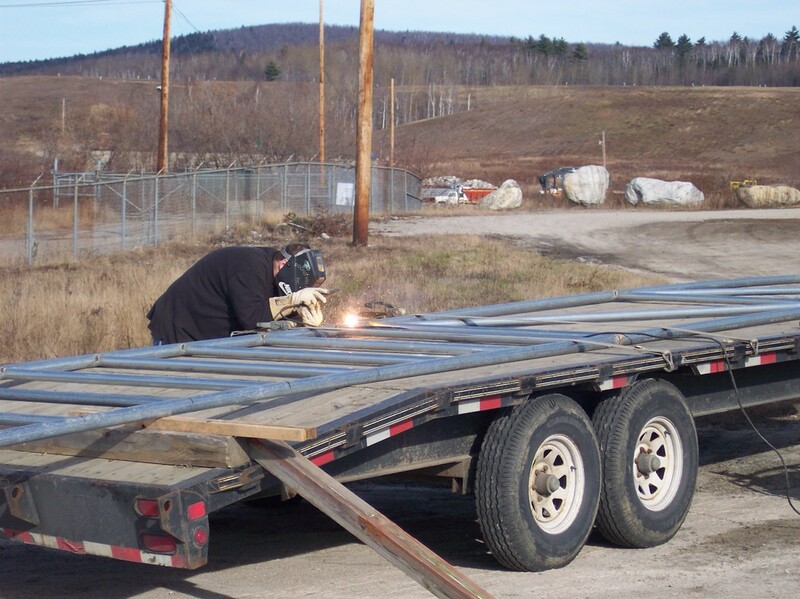 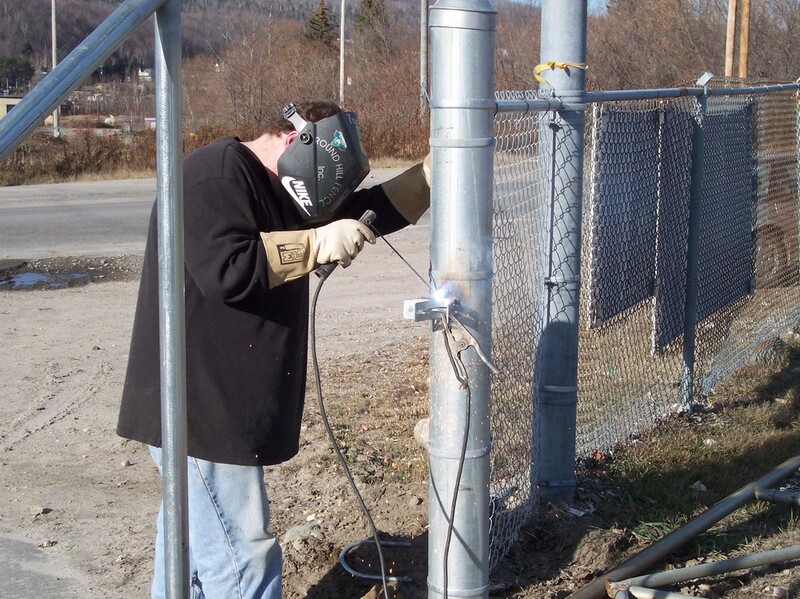 We offer welding and metal-working services, both in-house and on-location, for new installations and repairs. 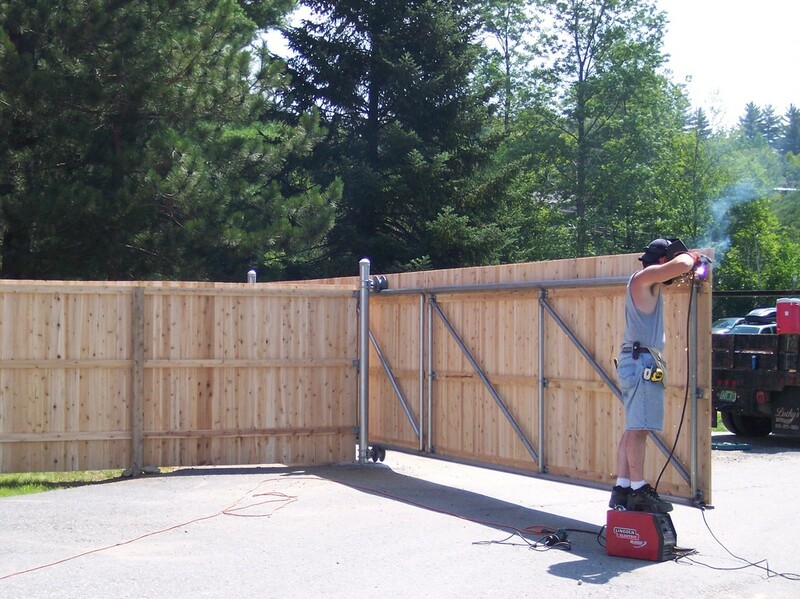 In fact, we are one of the only fence companies in the region capable of custom gate fabrication. Closing off a puppy escape route, Wilder, VT.
A custom gate latch corrals a wandering gate, Williston, VT.
Making gate repairs, welding at Rutland Airport. 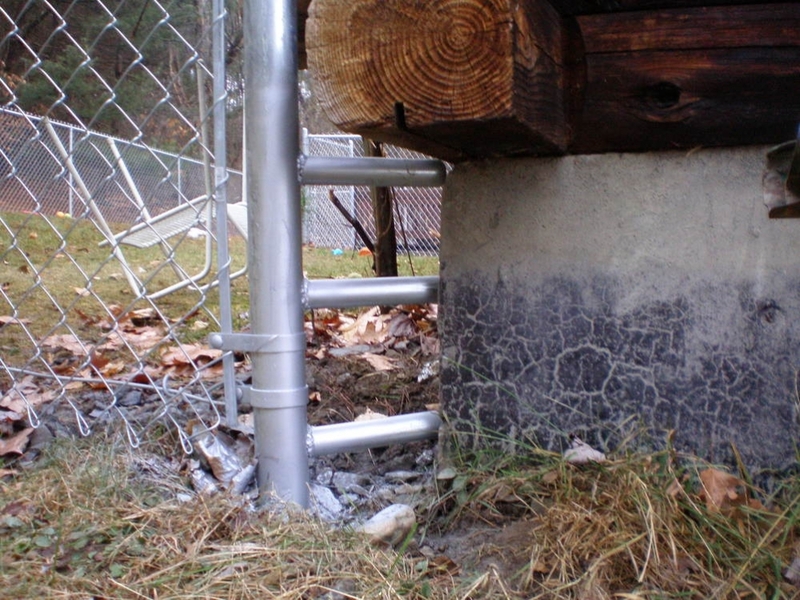 This sliding gate in Stowe, was partially fabricated on-site. 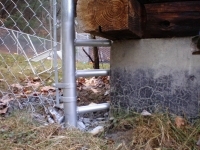 On-site repairs to a gate latch in Berlin, NH. 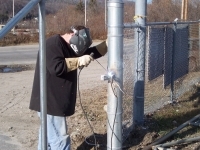 On-site gate repairs to a sliding gate in Berlin, NH. 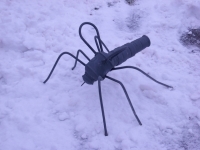 Made from Chain Link Gate Parts.